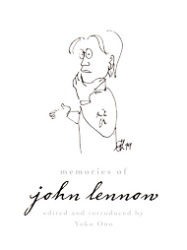 Garland Jeffreys' Essay - ‘Memories of John Lennon’'; Yoko Ono, ed. I was in and out of the Record Plant in the early 1970s. I had found a home with a bunch of great people commandeered by one of the best recording engineers of all time, Roy Cicala. Roy was unique in every way, in his recording techniques and his terrific sense of humor. He guided me, along with a brilliant team of musicians, through my first solo album, recorded in studio B: Dr. John, Bernard Purdie, Paul Griffin, Chuck Rainey, Winston Grennan, David Bromberg and the Persuasions. Studio B is where I met John Lennon. I entered the room and sat down at the console, which I’d become very familiar with. Roy introduced me, and John was immediately a quipster. No aloofness, no cool, no Beatle-ness – pretty much a regular guy. Yoko was there as well, and she was friendly and welcoming. John was enthusiastic, not quiet or brooding. Any time I was in a recording studio I always felt it was my playground even though the clock was ticking away the dollars, and John had the same schoolyard attitude. He was playful and very appealing. Around this time, I was thinking about recording “Help”. I think it was a few days later that I ran into John on the tenth floor and mentioned that “Help” was a favorite of mine. Wouldn’t you know it, like any songwriter, the mere mention that you might want to record one of their songs brought a package with the lead sheet to my small studio apartment in Gramercy Park. John had sent it off to me. I won’t act cool about this; I was thrilled that he had it sent over. We ran into each other a few more times, always at the Record Plant. I knew Roy was having the time of his life working with John, and I had enough sense to keep my distance and stay busy with my own work while I was there. The excitement of his being around and accessible was really fun. A few hellos and a couple of waves were enough for me. Some time had passed, and I was in Paris working on a few songs for a new recording. I was with my dear friend Antoine de Caunes, and after a night out carousing, we had just gotten to sleep at around eight in the morning when the telephone rang. It was the president of the Beatles fan club of France with the horrible news. John’s sudden death was a shocker and hearing the news stunned me. An end to someone I looked forward to seeing again, to getting to know maybe, to discovering what he was up to through his music. An end to his great creative juice. I was never really a great Beatles fan when the early craze hit. Those Beatle melodies and lyrics were too teenybopper for me, as I mistakenly thought back then. I was in love with Motown, Bob Dylan, Ray Charles and then the Rolling Stones. John Lennon fit right in with this group. His point of view cut right through. He spoke to me, and I believed him. He had an edge, which I was interested in. He was serious, and he reminded me of Dylan. And he made me laugh. I never did record “Help,” but I’m thinking about it again. There are so many great songs and performances. Two of my favorites are “Instant Karma” and “Come Together.” The albums that I liked the most, and that still inspire are Imagine and John Lennon/Plastic Ono Band. Going back, it’s A Hard Day’s Night and the White Album. The solo recordings, the songs, the sound, the musicians and the production and the flux fiddlers and his passionate renditions. The venom, the gentleness, his vulnerability and honesty on all his songs has given me license. We are always looking for a few clues, some direction, a bit of information, a little style, some guidance, permission if you will, to take a few chances. It takes some courage and I’m always so excited when it’s handed down to me. In 1980 I wrote “Jump Jump,” and dedicated this song to John on my Escape Artist album in 1981.